As the New Year 2017 has started, it has brought us many new trends and events to enjoy. Almost every brand in Pakistan is offering its best sales in the start of the Year. Previously we have availed much from various brands i.e. Ismail, Khaadi, and Nishat Linen etc. These outstanding brands have offered us best sales on their winter collection. Moreover, this sales season has given us an opportunity to avail these sales on different items i.e. Clothes, Foot Wears and other accessories. This time we will discuss the sales unanimously on Outfitters, Breakout, Royal Tag and Bonanza. Outfitters, Breakout, Royal Tag and Bonanza are offering the winter sales on their accessories. These sales start from 30% off to 50% off on all accessories of these brands. These brands are famous for their own specific accessories. Outfitter is very well known for its accessories for men, women, and kids. Furthermore, it is offering flat 50% of on Bags & Wallets, Belts, Sunglasses, Watches, and Accessories etc. Breakout is famous for its clothing items. It is offering 30% off on its winter collection. Moreover, the collection incorporates Sweaters, Jackets, and Coats etc. for males, females, and kids. Royal Tag is one of the top brands in Pakistan which cares about men’s fashion. It is offering 50% off on its Suits & blazers, sweaters, jackets, shirts, trousers, kurtas, and accessories. Bonanza is offering flat 30% off on Kurta, Kurta Shalwar, Shalwar Suit, Waist Coat, Smart Shirt, Trouser, Polo Shirts, Coat Pant, Woolen, Dupatta, Shawl, Scarves, Ladies Sweaters, and Accessories etc. These sales have been started. Furthermore, these sales are limited time offers. So hurry up and order for your desired accessories to follow the trend. 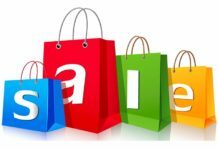 0 Komentar untuk "Outfitters, BreakOut, Royal Bag, Bonanza Winter Sale 2017 "